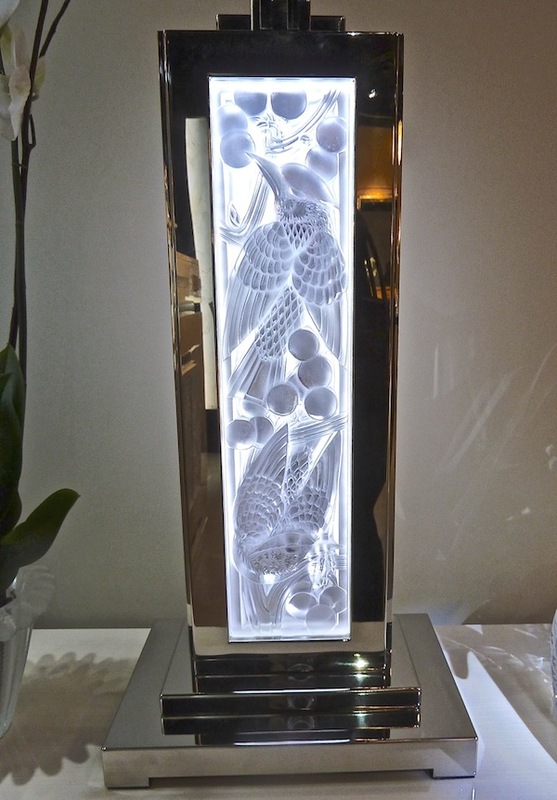 One of the most striking booths at Maison et Objet was that of Lalique with their introduction of a full range of Lalique Maison products. 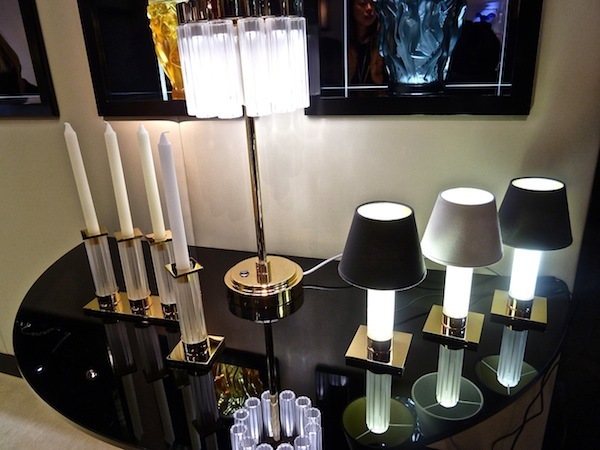 From beds and bars to linens and lacquered accessories, the presentation of the new lifestyle line was impressive. I was lucky enough to arrive when Lady Tina Green, the creator of the Lalique Maison line, in collaboration with designer Pietro Mingarelli, was on hand. She was kind enough to walk me through the collection and explain the concept of the new line. 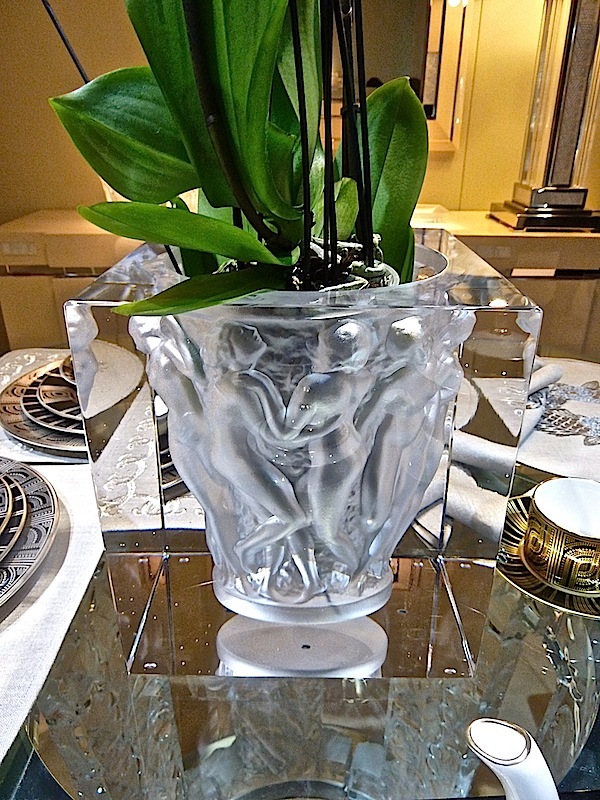 Several years ago Green and Mingarelli had designed a yacht incorporating Lalique into furniture they created for the interiors. 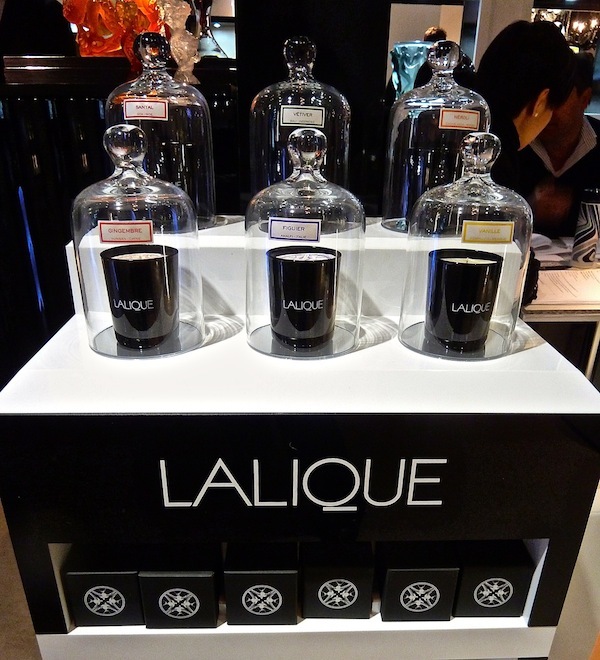 The owners of Lalique were so taken with the project, they commissioned the team to develop a full lifestyle line for the brand. 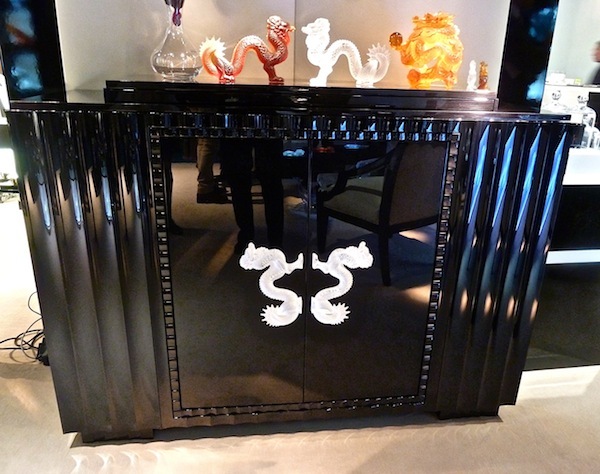 It is a large range of products including the pieces you saw in the video and others such as this stunning Dragon bar. The decoration is of course exquisitely carved crystal, shown closer below. 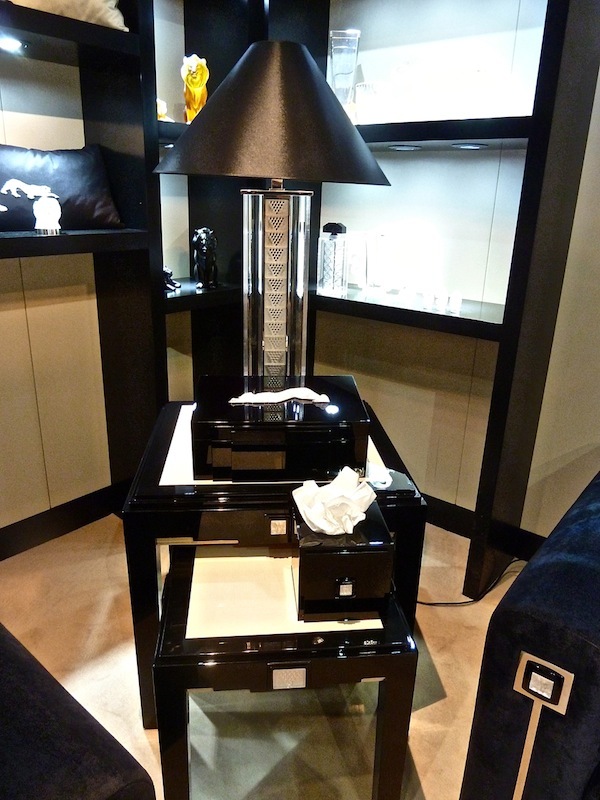 Many of the pieces, such as the bedroom side table can be customized to include specific Lalique designs in the crystal elements. The table light is particularly striking, in polished stainless with a choice of crystal panel, the Merles et Raisins option shown here. a line of delectably fragrant candles. And lastly are the custom-made designs available for architectural projects. These bespoke pieces include doors, panels, chandeliers and handrails. I particularly liked the Dahlia interior panel, based on an original René Lalique powder box, now reinterpreted as a timeless interior element and the Venise panel below, from the new collection last year. 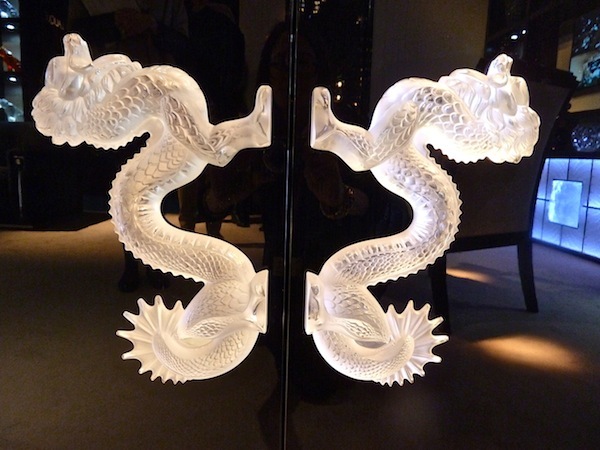 I look forward seeing how Lalique develops as a more fully realized lifestyle brand, blending its distinguished heritage with new modern designs and applications. 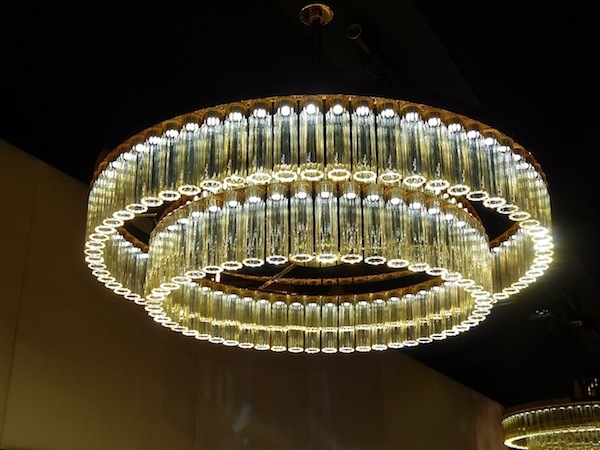 This entry posted in Behind The Q, design, furniture, interior design, travel. 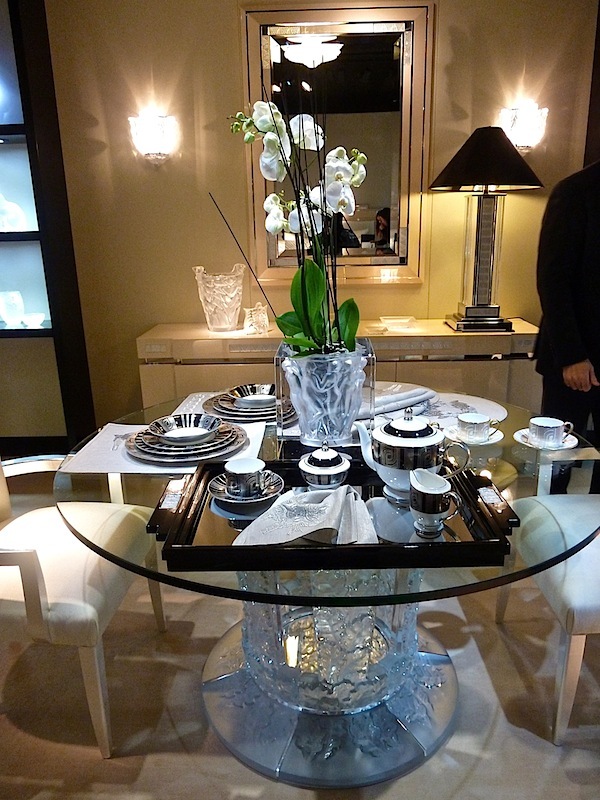 Entry Tags: Lady Tina Green, Lalique, Maison et Objet Bookmark the permalink. That Orgue chandelier makes me cry. 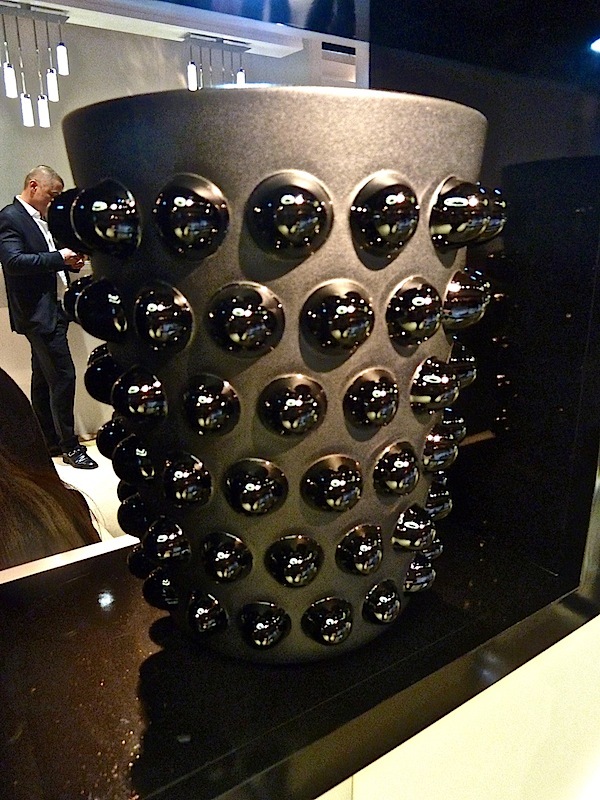 Killer coverage of Maison et Objet, Stacey! Thank you. 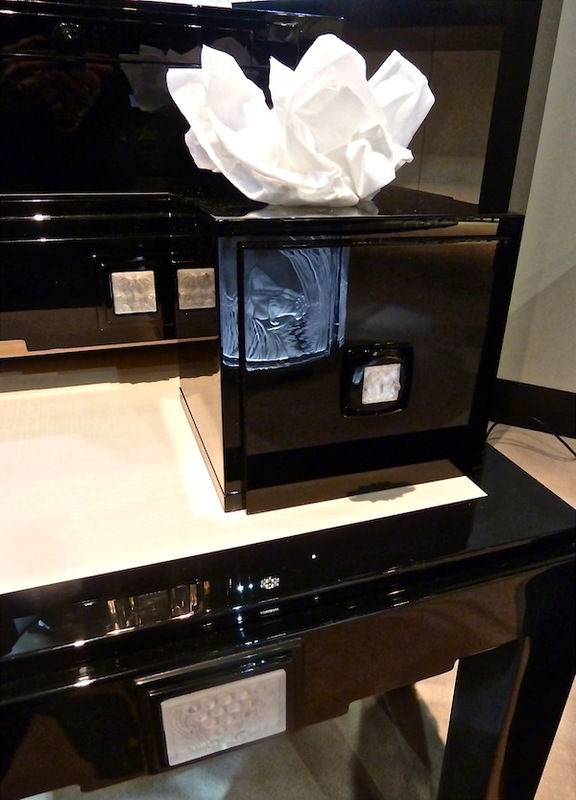 I enjoyed seeing your wonderful Lalique treats today. 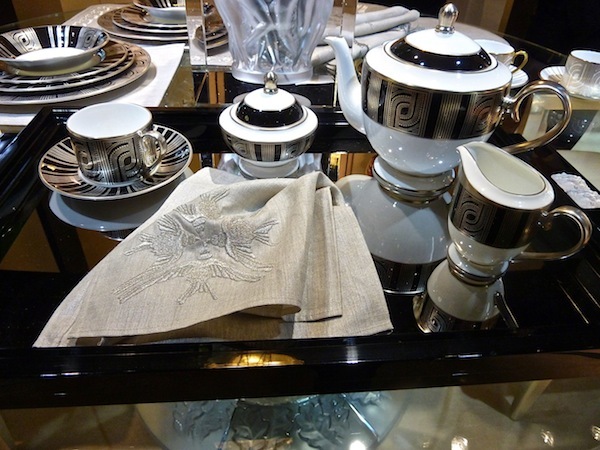 Have you had tea at Claridge’s in London? 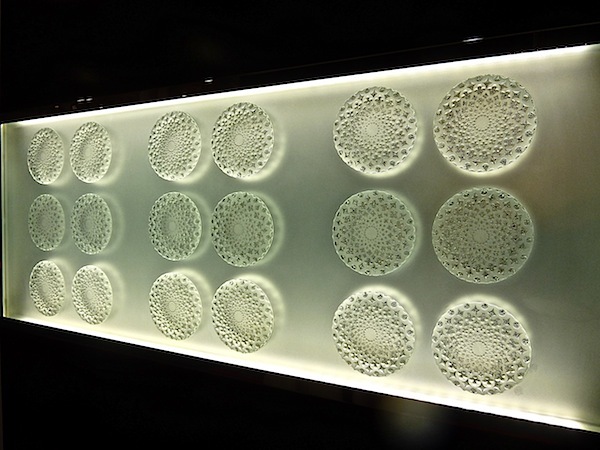 The beautiful ladies room has Lalique panels covering the bathroom stall doors. 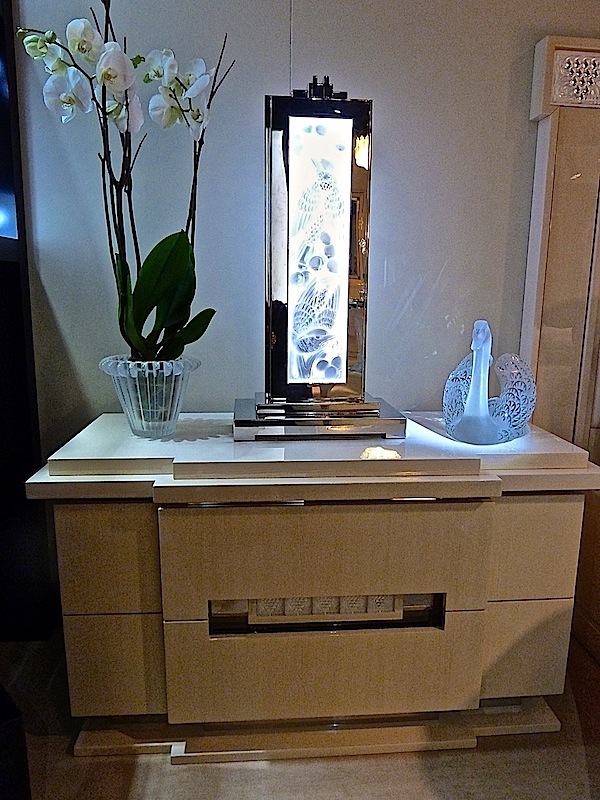 It is considered to be The most beautiful Ladies room of any hotel in the world. Recently I inherited my Aunt Marie’s Lalique vase– needless to say, I love purchasing beautiful roses to fill it every Friday. Cut into the Chrystal is a large rose and it is signed. I assume it was a wedding gift from her marriage in 1919. 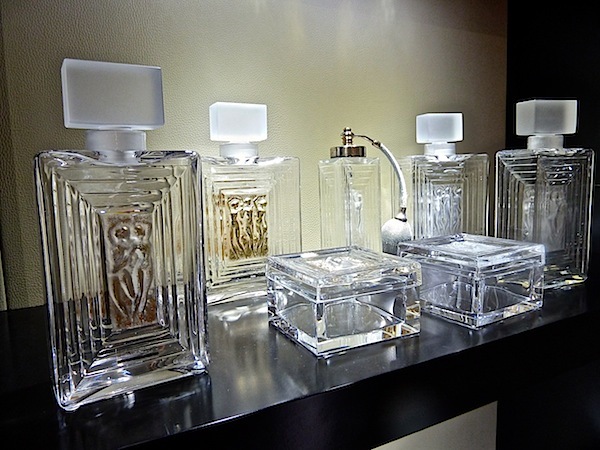 Lalique is truly lovely. I can only say incroyable! 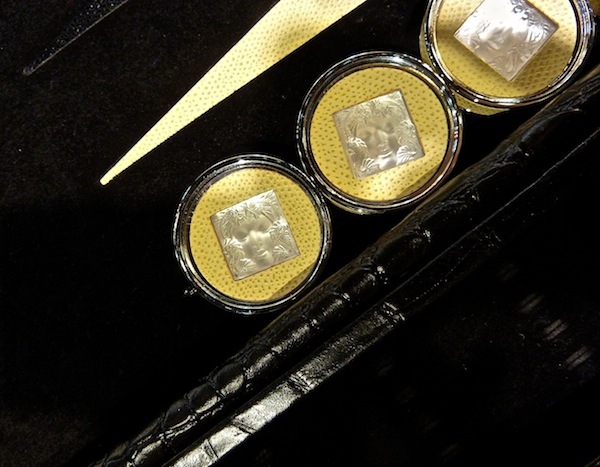 The dragon bar with the inset crystal is beyond beautiful. It all combines masculine and feminine so well. The yacht they designed must have really been something. I’d love a tour of that! The dragons! Exquisite. It is all unbelievably glorious. Thank you. 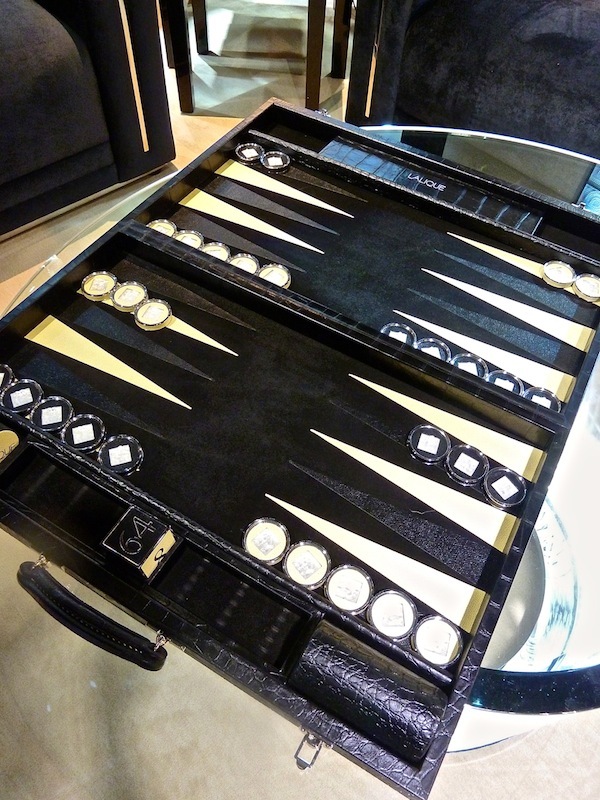 Wow…every piece so gorgeous, down to the amazing backgammon board…stunning! Very nice collection , I like it , best wsihes. 79 queries in 0.433 seconds.